Google recently launched the Android One program, which Sundar Pichai says will conquer ‘The Next Billion’. While the program is ambitious, I feel that the western media is blowing it out of proportion and giving Google way too much credit. At the risk of giving out anti-Android vibes, let me say it out loud – this is not about targeting the next billion. Let’s be clear, when Google said that it is launching Android One program for developing countries, it’s not fooling anyone. The program has been designed for the Indian market, which is why local OEMs like Micromax, Karbonn and Spice are the partners. Google has launched this program to standardize the low end smartphones brought into the market by these local OEMs, which are actually causing trouble. Google is great at identifying problems early on. It knows that when a person buys a low end smartphone, they are more likely to upgrade to a better specs one the second time around if they feel that their current device has helped them in any way. And here, the low end smartphone makers are troublesome for Google. If they don’t get a seamless experience, consumers are not only going to blame the brand but also Android. These users would not upgrade into the same ecosystem. And these are the consumers Google would care about. Let me explain. Let’s say Micromax actually comes up with a decent phone at $100, which at current rate would be Rs 6,000. I am pretty sure these users won’t be able to completely enjoy the smartphone experience. Let’s assume the quality of performance of these Rs 6,000 would be of what current phones at Rs 12,000 provide. I am currently using one, Xolo Q1000 which I bought for around Rs 12,000 last year. At the max, I am able to install 15 apps, above which it throws me a storage full error. Anyone who uses a smartphone would agree that apps are the essence of a smartphone experience. From what I saw at the Google I/O, the Android L is going to be an issue. All those new animations in the app, are going to make the app bulkier and thus leading to even less amount of storage. I really hope to be wrong here, for the sake of my own smartphone experience. That said, the number of Google apps that come uninstalled with an Android device are increasing day by day, which is again making the device sluggish. There’s also redundancy in the apps. For example, I have an SMS app by the OEM and Google Hangouts, then I have a gallery and Google Photos, and two browsers. This is going to bring down the Android experience. Now that’s one point. Secondly, Google wants us to use Android so that we can use these apps or Google’s service. This enables them to collect a lot of data from users and give it to advertisers to earn some cash. Are the target users, who can’t afford a one time price of Rs 10,000 going to pay Rs 250+ per month for data packs? The answer is no. Funnily enough, I’ve seen instances where people buy devices like Samsung Galaxy Note 2 and don’t subscribe to any data packages. Such kind of users would be of no use to Google. Having said that, the western media just sees that India has a population of more than a billion. What it ignores is whether this billion strong population can afford or even need a smartphone? When you consider this, you’ll realize that the target audience is not that huge anymore. In my opinion, irrespective of what Sundar Pichai said at the Google I/O, Android One is not about conquering the next billion users but more about putting a leash on OEMs that are providing a sub-par experience. 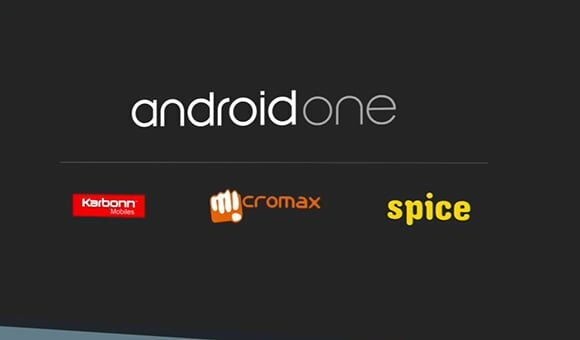 Google to subsidise Android One devices in India; but why?